For many British people, the region of Brittany in France is associated as a place you go when you’re a baby (it’s easy for your parents to take you to), or a place you visit when you’re older and don’t want a long plane or car journey. There’s not a huge amount of 20-30 somethings that visit the region. Personally, I fit into the baby category, my parents took me before my brother and sister were around and apparently I stunned everyone in the restaurant we went to by digging into cockles, whelks and all sorts. The story goes that I absolutely loved it and put my first word to good use by asking for “more”every time I finished my mouthful. Fast forward 20 or so years and I headed back to Brittany again. 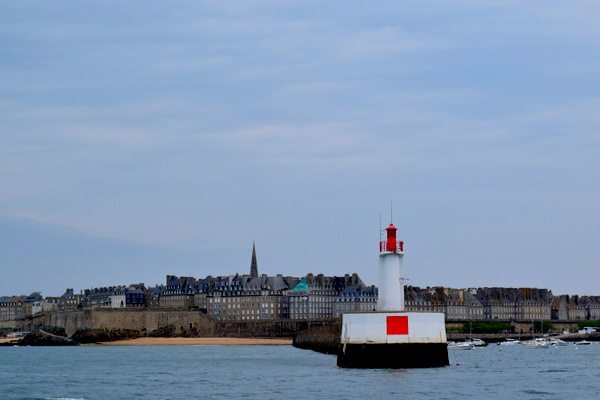 I visited Saint-Malo in Brittany with Brittany Tourism and Brittany Ferries. We left on Friday night and came back on the ferry during the day on Sunday. You can read more about the ferry journey here. Anywhere you can get to in a weekend with time for exploring and no need to take a day of annual leave gets my vote! We spent Saturday exploring the pretty town of St Malo which has a very interesting history. The old town is built inside some old, very high walls which were used to protect the town and its people from both stormy seas (St Malo is right on the coast) and attackers. Much of the city was destroyed in WWII but was then rebuilt to match the original as closely as possible so St Malo still retains its charm and the type of beauty that you only find in old towns. Visiting any part of Brittany means you’ll get delicious food and a dose of culture. Here’s your weekend guide to St Malo. Where is St Malo located? 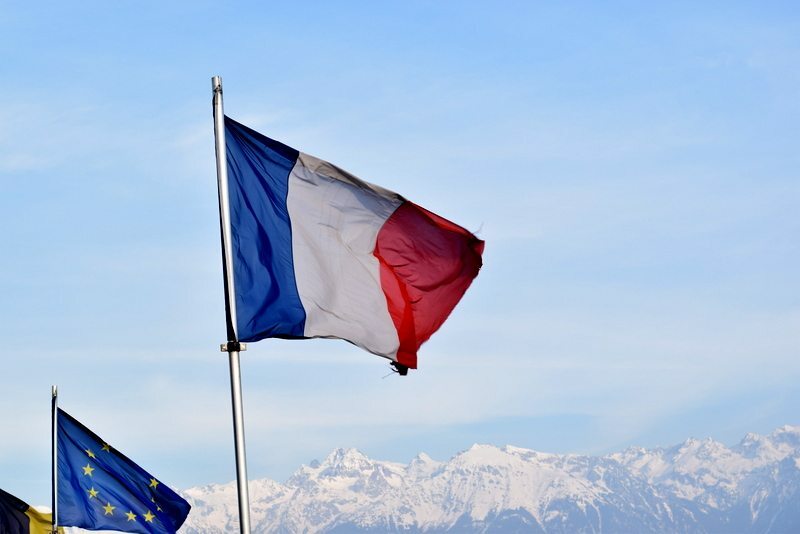 Want more France travel ideas? Saint-Malo is a historic French port town in the region of Brittany. It’s a walled city and has a long history of piracy. It’s said that St Malo earned a lot of money from local extortion and overseas adventures. Nowadays it’s a popular tourist destination and has ferries from Portsmouth, Weymouth and Pool in the UK direct to St Malo. There are several districts making up St Malo and the most popular is “intra muros” the ‘inside the walls’ which is full of cafés, shops and restaurants. There’s also a more village-y part outside of the walls. 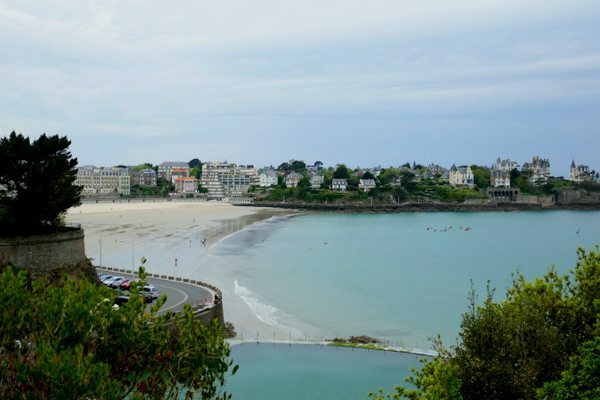 A popular nearby town is Dinard, Saint-Malo which I’ve also written about below. St Malo is in northern France in the French region of Brittany on the Channel Coast. 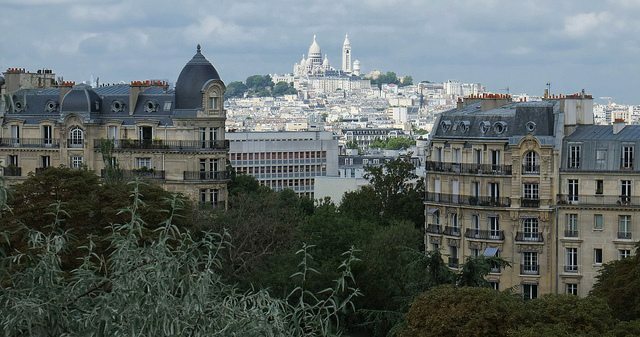 The nearest big city is Rennes which is about 1 hour’s drive south. 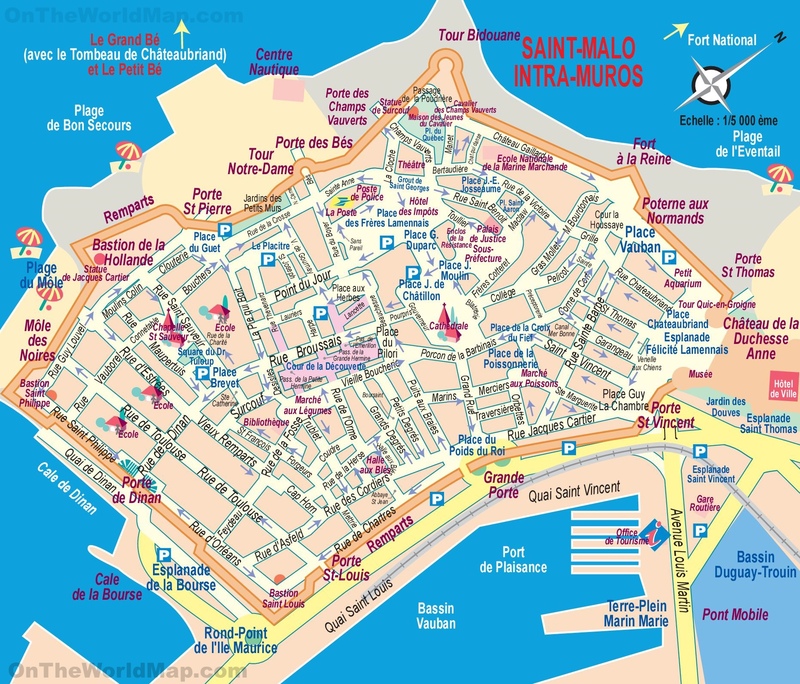 Here’s a useful city map to help you get your bearings of the intra-muros part of St Malo. There are a couple of ways to get to St Malo, details outlined below. One of the easiest ways to get to St Malo from the UK is to take the ferry from Portsmouth to St Malo. We took the ferry to Saint-Malo which I thoroughly enjoyed as it’s not a form of transport I take that often. The ferry to St Malo is a long journey. 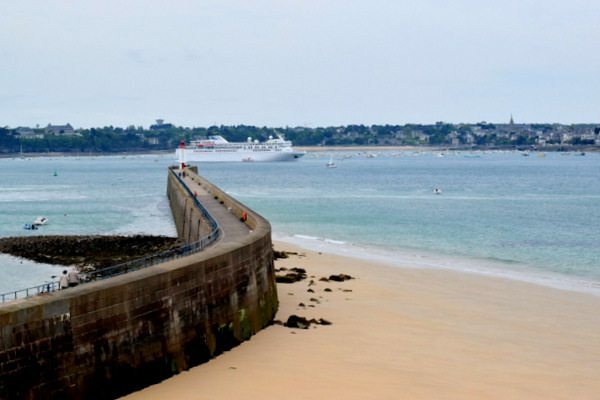 Ferries to St Malo from Portsmouth is best done overnight that way you sleep for the majority of the journey and wake up in your destination ready to explore. We travelled on a Friday night and so had the weekend to explore. We travelled with Brittany ferries to St Malo. You can see a more detailed account of our experience of the ferry crossing to St Malo here. Brittany Ferries go from Portsmouth to St Malo and have overnight ferry crossings to St Malo every day leaving around 8.15pm. Ferries to St Malo from the UK takes about 10 hours 45 minutes. You can book a cabin to make the journey more comfortable. Flying to St Malo is far quicker than getting the crossing but arguably a lot less fun. Ryanair flies from London to St Malo from £33 and it only takes about 1 hour 20 minutes. There’s a lot of great choices when it comes to accommodation in St Malo. 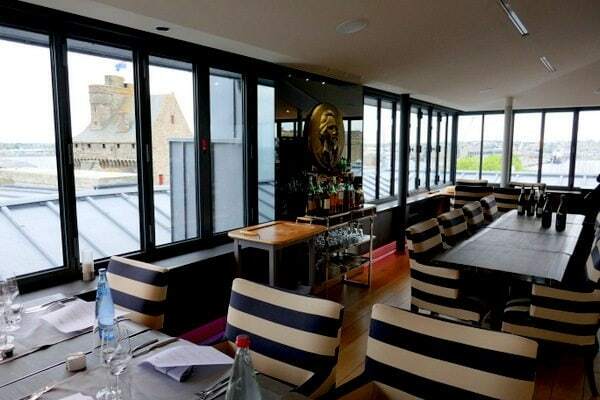 I’ve picked out some of the top hotels in St Malo, including the one we stayed at, below. Chateaubriand hotel: This is where we stayed and it had fantastic sea views! 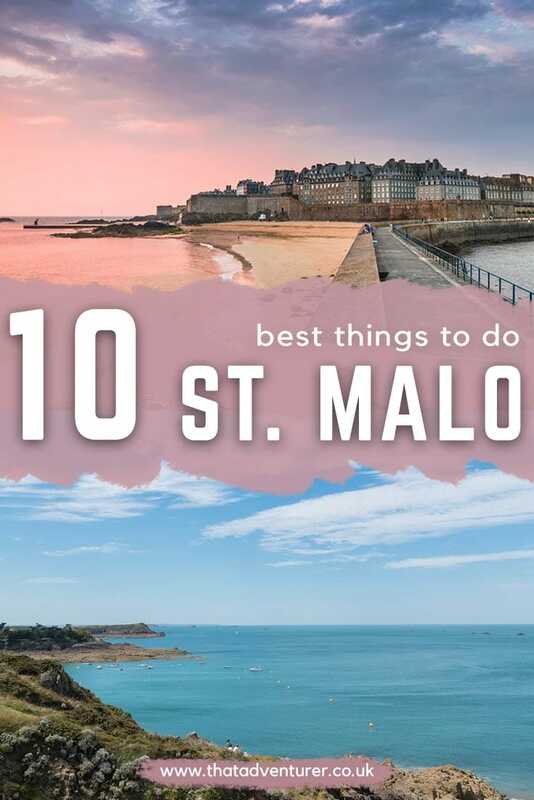 If you’re looking for St Malo things to do then look no further! 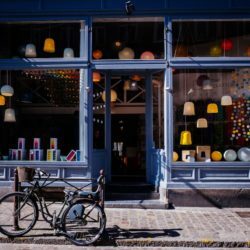 We ended up doing a lot of great things to do in Saint-Malo so the below should be a good guide of what to do in Saint-Malo during a weekend break. 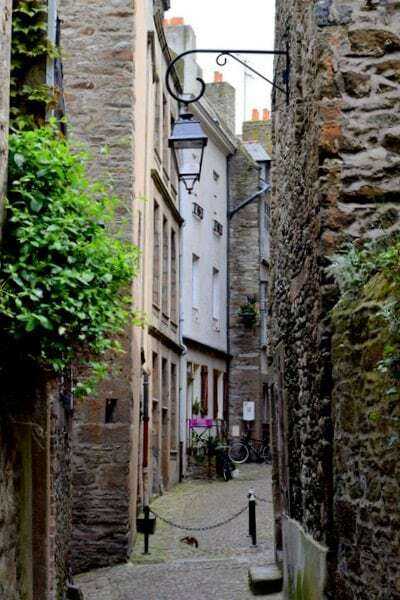 The oldest part of the city is referred to as “Intra-Muros” (inside the walls) and the best way to get an idea of the scale and sights of this part of St Malo is by walking along the city walls. 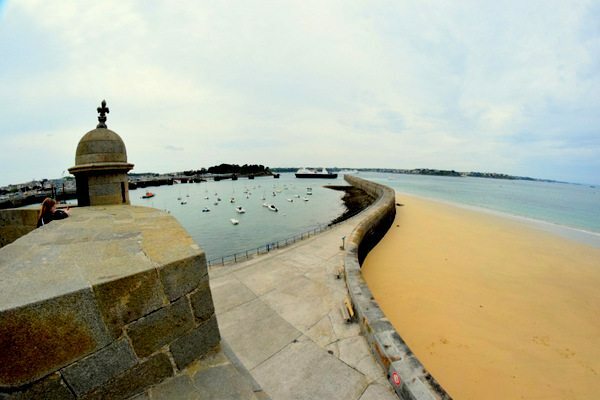 Unlike cities such as York, you can walk along the entirety of the walls at St Malo as they still remain intact so as to help protect the buildings from the high tides and stormy seas that batter the coastline several times a year. Walking along the walls won’t take you too long as you’ll notice that St Malo (the old town at least) is pretty small and it’s totally worth it for the views you’ll get not only of the city but of the sea and Dinard across the water. Salted butter caramel (caramel buerre salé) is a speciality of Brittany and stems back to the 1500s when Brittany was the only part of France to be exempt from a salt tax. Since they didn’t have to pay tax on salt, the Bretons sprinkled salt liberally in the local cuisine and this remains a tradition and has led to Brittany is famous for its salted butter today. In the 1970s it’s believed a pâtissier decided to use salted butter to make caramel and discovered this tasty combination. We made sure to eat our fair share of salted caramels throughout the weekend on crepes and as sweets. A short boat trip (or drive if you’ve got your car) will take you from St Malo port over to the beautiful seaside resort of Dinard, St Malo. 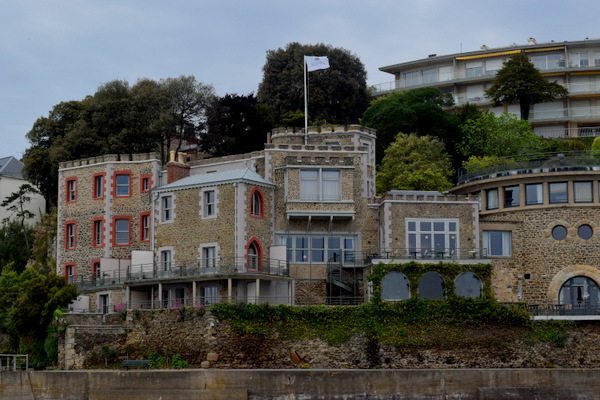 In the mid-19th Century, a number of English families discovered Dinard and this led to the creation of villas, hotels and tourist facilities. By 1889, Dinard had become the place to be seen for national and international high society. It was considered France’s top seaside resort and often played host to members of the Royal family and the French aristocracy. 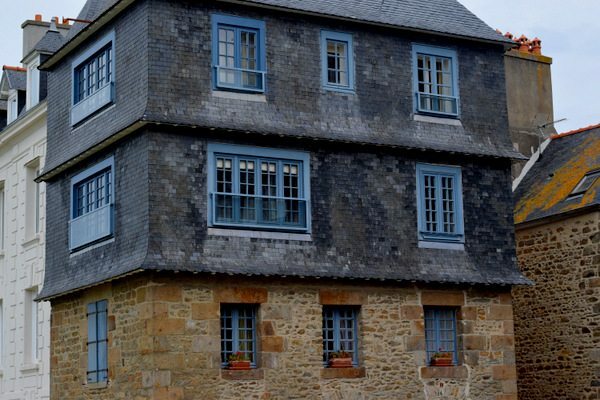 If you walk through Dinard nowadays I can’t guarantee you’ll bump into Prince Harry, but was I can guarantee is that you’ll be wowed by the luxurious villages dotted along the coastline, the luxury hotels and the beautiful empty, sweeping bays. Follow the coastline by turning right when you step off the boat and weave in and out between the luxurious villas, the town and the sea. Keep your eyes peeled for the pool (below) which featured in the film ‘One Day’! 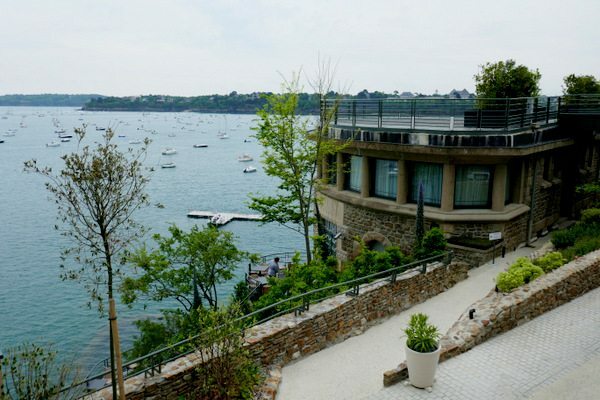 The Dinard Tourism office runs tours which you can book by calling +33 (0) 821235500 or popping into their office. These two islands could be referred to as Mont St Michel’s little brothers. They may be smaller and less well known but the benefit is that there are a lot fewer people walking all over them. 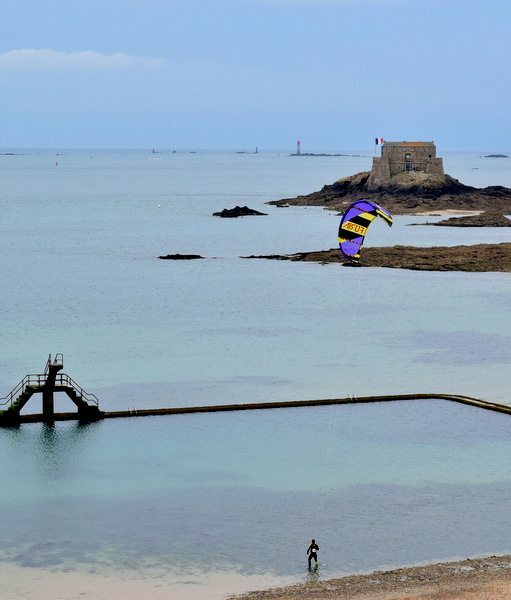 At low tide in St Malo, you can stroll on out to both the islands and climb up them to get even better views of St Malo intra-muros and the coastline. Just make sure you check what time the tide turns though as otherwise you’ll get stuck! 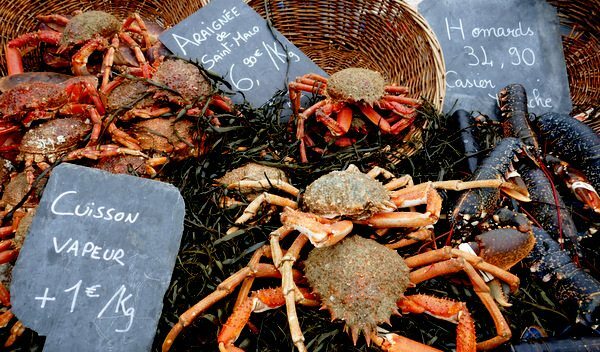 Dinard’s market is famous in the area with locals living over in St Malo popping over on Saturday’s to stock up with fresh fruit, vegetables, plants, fish, meat and more. I love, love, love browsing markets and this one was no exception. There’s just so much colour in the fruit and vegetables, and the seafood and meat look so good! If you’re in the mood for lobster then make sure you pop by the lobster stall. Here you pick your (live) lobster and then carry on with your shopping and exploring. In the meantime, the guys prepare and cook it for you. But if there’s one thing you simply can’t miss it’s got to be a Kouigin-Amann! I’d never heard of this sweet Breton cake before. Now I can’t get enough of it. The Kouigin-Amann is a round crusty cake made from bread dough with layers of butter and sugar folded into it. It’s basically just butter and sugar but it’s so, so good. Corinne took us on a tour of St Malo explaining the town’s very interesting history. I’m not normally one for walking tours and have been known to ditch walking tours a few minutes in (Lima walking tour I’m looking at you) but Corinne’s tour was extremely interesting. I won’t ruin it all for you but when your tour guide tells you about how dogs were kept locked up during the day, without food to make them starving and then released at night with the intention of tearing about intruders you know you’re in for a good tour. Galette is the French word given to a savoury crepe. Although you can find these throughout France, they’re traditionally from Brittany. They’re usually made with buckwheat flour and the traditional filling, known as Le complet, is ham, egg and cheese. 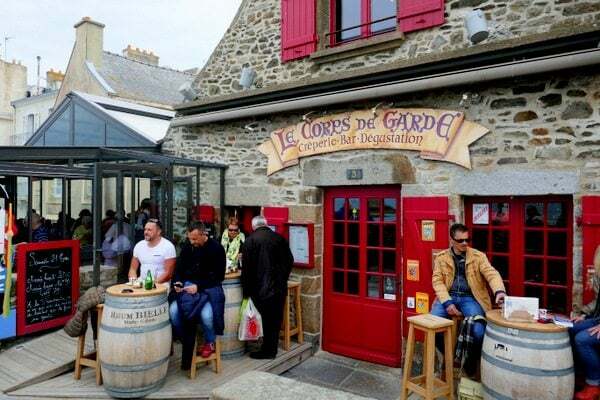 The Creperie du Corps de Garde has a view out onto the sea and if it’s warm enough you should grab a spot outside on the terrace to fully appreciate the view. Oh, and when in France, do as the French do and get a jug of cidre to wash down your galette with! Somehow I’ve become one of those people that packs their trainers when they go on holiday with the intention of going for a run. I don’t know how or why either but it turns out going for a run is a great way to see more of a city and get in a healthy dose of exercise. We ran along the city walls from our hotel and off out toward Saint-Servan. Saint-Servan is the locals part of St Malo. It’s where they live, drink and generally try and avoid the crowds that normally stick the the intra-muros part. There is a beautiful beach, a few bars and even a part towards the far end of the beach that you can explore. It’s well worth heading over there for a more local experience of St Malo. The man behind Epices Roellinger, Olivier Roellinger, used to be a Michelin Starred chef and gave it all up to travel the world, following his dreams of discovering the world’s best spices. He spent thirty years discovering the best places for vanilla, oils and spices and now sells them in his spice shops. A visit to Epices Roellinger will transport you to different countries as your sniff your way around his shelves. This has to be one of the best restaurants in St Malo! On top of our hotel was the restaurant Le Cinq which offers panoramic views out over the town and sea. Time your dinner in line with sunset and you’re in for a treat! 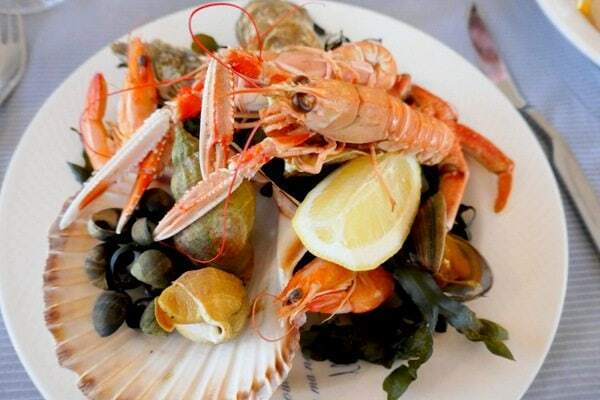 Le Cinq serves up delicious Breton seafood – just look at that seafood platter I had as a starter! – but also other traditional French food such as foie-gras. 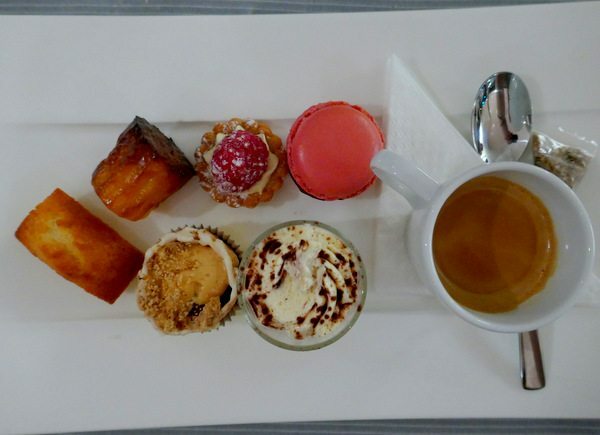 As with my meals in Les Sybells, promise me you’ll choose the Cafe Gourmand for dessert. Should you travel by ferry next time? It was so yummy! And had the best views for sure! I’ve never been in St Malo before. In fact, I never knew this place. But wow, Malo is really fascinating. Not to be exaggerated but this leaves me astound.